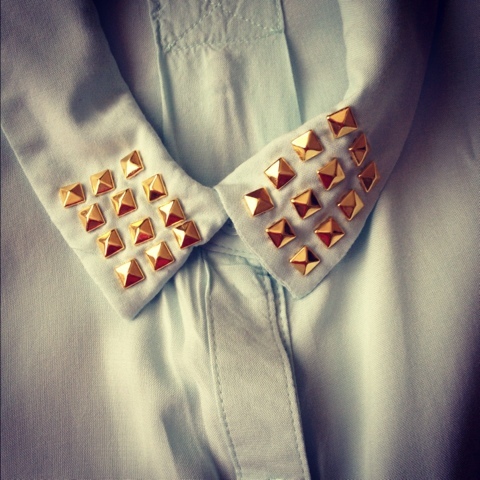 Mummy, Wife and Chaos: Dip dye and studs! My love of clothes has hot a all time high and being a stay at home mum means eBay and DIY are close to my heart. Yesterday was a day of bleach and studs! 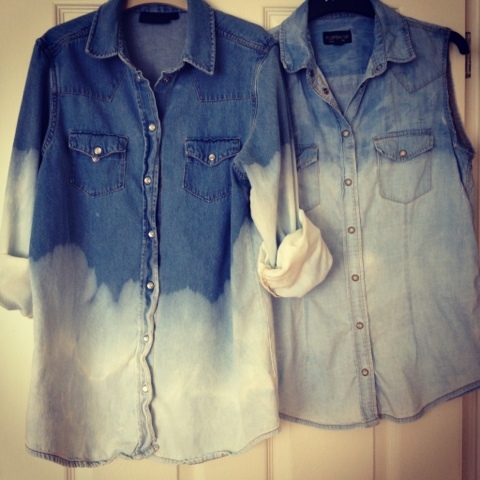 Next up I began the bleaching process of two denim shirts. One sleeveless and one with sleeves. It was a lengthy and messy process... Patience is not my best quality. But it paid off! 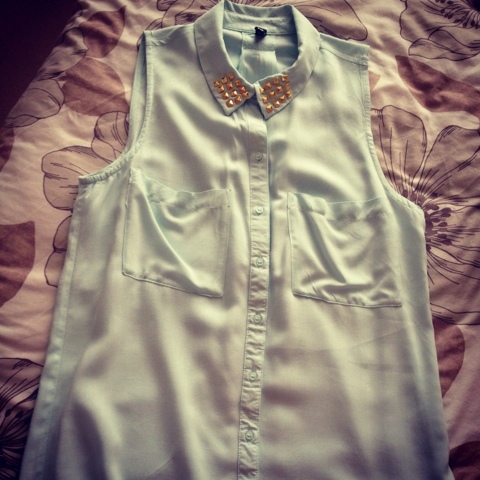 I finished off the sleeveless shirt with the eBay studs. I'm pretty chuffed with the results and for a 90p essentials bottle of bleach and some £3.75 eBay studs i have 3 revamped tops! !